Francesco Pilla’s area of expertise is geospatial analysis and modelling of environmental dynamics, which involve the development of environmental pollution models (air, noise, water) and decision support tools using a GIS platform, in order to facilitate the interoperability of input data and research outcomes between the client/final user and the research team. His work focuses on understanding complex environmental phenomena in order to preempt the impacts resulting from interactions between the human population and the environment. His approach integrates models for environmental pollution with a GIS platform: this is used to assess and predict impacts from built-environment interventions which have the potential to provide population-wide effects. He uses a range of pervasive and community sensing applications as a means of calibration and validation of GIS models and decision support tools. In the context of iSCAPE, Francesco is working on the monitoring and evaluation of our interventions and on simulating their effects in terms of air pollution. Santa Stibe is a certified Project Management Professional (PMP) with strong international credentials and experience in strategic relationship building and partnership strengthening in cross-cultural and inter-disciplinary environments. Santa has worked across different industries and has managed a number of international, academia-led projects enhancing public- private- people partnerships in such domains as e-tourism, mobile healthcare and wellbeing. Santa holds a Master’s degree in law from the University of Latvia. Being a performance-driven professional, Santa is eager to evaluate and interpret the “complete picture”, zooming out to broader perspectives to bring the details that matter into sharp focus. In the context of iSCAPE, Santa, being a part of the Project Coordinator team, manages and coordinates the Consortium activities. Salem S. Gharbia is a Post-doctoral Research Fellow in Urban & Regional Planning Department at the University College Dublin (UCD). Integrated environmental dynamic systems modelling using GIS platform and Machine Learning Techniques is his main field of interest. Salem is a civil engineer and has a master degree in water and environmental sciences, in addition to a postgraduate diploma in statistics. His PhD developed an integrated modelling platform (GEO-CWB) to address and quantify future water vulnerability in large catchments. He has an extensive background with over five years of experience in the fields of integrated environmental systems modelling, hydrology, air quality, statistics and mathematical modelling. Besides, his academic background, as part of his work career he involved in several international trans-boundary environmental projects. In the context of iSCAPE, Salem, as part of his Post-doctoral Research Fellow, is working on the guidelines to promote passive methods for improving urban air quality under climate change conditions, in addition, to the process of applying, monitoring and evaluation of physical PCS interventions. Francesco Matacchiera is a PhD student at the University College of Dublin, School of Architecture and Environmental Policy, with experience in atmospheric physics and hydraulic modelling. Francesco has a Bachelor’s degree in Civil and Environmental Engineering from Polytechnic of Bari and a Master’s degree in Hydraulic Engineering from Polytechnic of Turin. Francesco occupied a part-time involvement in the Laboratory of Hydraulics, explaining the main processes of fluid mechanics to undergraduate students. Francesco cooperated with the University of Southampton and the Technical University of Denmark to carry on his MSc thesis in Atmospheric dispersion modelling. In the context of iSCAPE, Francesco focuses on the effect of passive methods for improving urban air quality under climate change conditions, analyzing the influence of Low Boundary Walls (LBW) on air quality concerning street and neighborhood scales, using Computational Fluid Dynamics (CFD). Prof. Silvana Di Sabatino is Associate Professor of Atmospheric Physics at University of Bologna where she teaches Boundary-layer Physics and Turbulent Dispersion, Dynamic Meteorology, and Climatology. She holds a PhD from the University of Cambridge (UK) in the area of environmental fluid mechanics. Her current research relates to urban microclimate and its interconnection with climate variability, city breathability and its connection with urban planning. Among her research interest there is the development of tools to connect basic research with applied science closely related to respond to the needs of modern society. She is Associate editor of Environmental Fluid Dynamics (Springer) and serves the editorial board of Boundary-Layer Meteorology (Kluwer). She has co-authored more than 100 scientific publications of which over 50 in peer review journals. She has been involved in several projects some of which funded from European funds and others from regional structural funds. In the context of iSCAPE, Silvana will lead the team working on all the tasks related to work package WP6. WP6 will involve the assessment of the link between air quality, urban heat island and climate change. Also she will coordinate UNIBO contribution to other WPs. Prof. Beatrice Pulvirenti is Assistant Professor at University of Bologna, where she teaches Applied Physiscs and Numerical Techniques for Fluid Dynamics and Heat Transfer. She holds a PhD in technical physics from the University of Bologna. Her research is in the area offluid-dynamics and heat transfer with particular attention to multi-phase flows, with boiling and condensation mechanisms. Her current research focuses on the reduction/mitigation of urban heat island. She develops her research through computational fluid dynamics modelling and laboratory experiments, including particle image velocimetry. She has been involved in several projects, some of which funded from European funds and from regional structural funds (as coordinator). In the context of iSCAPE, Prof. Pulvirenti will co-supervise and work with her team on work package 6. She will coordinate the simulation and laboratory studies in this WP with emphasis to the urban heat island and thermal exchange. Dr. Erika Brattich is a Junior assistant Professor (fixed-term) at the Physics and Astronomy Department of the Univeristy of Bologna since 2017. Previously, she was assistant research fellow at the University of Bologna, Chemistry Department “G. Ciamician” from 2014 til 2017. She holds a master degree in Physics (2010) and a PhD in Earth Sciences (2014), both obtained at the University of Bologna; she is a researcher in the field of air quality and environmental physics. In particular she has dealt with air quality related research themes since her master thesis and PhD studies, when she focused mostly on atmospheric particulate matter and receptor modeling techniques. Her research activity at the Chemistry Department focused on the application of modeling techniques (receptor modeling and CTM) to identify and quantify particulate matter and other pollutant sources. These techniques have been successfully applied both in base research projects as well as on technical consultancies in the field of environmental forensics. Nowadays, research themes in air quality are extending to studies in the field of urban meteorology (and climatology), and in particular to the study of transport in urban street canyons. In the context of iSCAPE, Erika supports the team in data collection and analysis in the experimental field campaigns, and supports the contribution of UNIBO to the various WPs. Francesco Barbano is a PhD student in geophysical science at the University of Bologna, Department of Physics and Astronomy, with experience in atmospheric physics data analysis and modeling. He has a Master degree in Physics of the Earth System at the University of Bologna. In the context of iSCAPE, Francesco, being a PhD student, focuses on experimental in the field and modeling (upscaling between CFD and Mesoscale) pollution dispersion across scales. Dr. Federico Prandini is a Research fellow in Computational Fluid Dynamics at the University of Bologna, Department of Industrial Engineering. He has a Master degree in Energetic Engineering at the University of Bologna. In the context of iSCAPE, Federico focuses on the numerical simulation of pollutant dispersion within neighborhood scale. Alessio Francesco Brunetti is a PhD student in Computational Fluid Dynamics at the University of Bologna, Department of Industrial Engineering, with experience in atmospheric physics and fluid dynamic modeling. He has a Master degree in Physics of the Earth System at the University of Bologna. In the context of iSCAPE, Alessio, being a PhD student, focuses on numerical simulations of pollutant dispersion within neighborhood scale. Federico Porcù is Assistant Professor at University of Bologna and member of the atmospheric physics group. He teaches Atmospheric Physics and General Physics at the School of Engineering and Science. His current research interest is in atmospheric measurements using both remote sensing and in situ instrumentation. He has a long experience in data analysis and experimental work, and published more than 80 papers on cloud physics and remote sensing applications to climate, agrometeorology and hydrology. He has been involved in several national and international research projects with role of coordination. He is in the Doctoral Council of University of Ferrara. In the context of iSCAPE, Federico will co-supervise work under workpackage 5. He will coordinate the design and deployment parts under this WP. Prashant Kumar is a Professor and Chair in Air Quality & Health as well as the Founder-Director of the ‘Global Centre for Clean Air Research (GCARE)’, which is hosted within the Department of Civil and Environmental Engineering at the University of Surrey, UK. He obtained his PhD from the University of Cambridge (UK) after securing a Cambridge-Nehru Scholarship and Overseas Research Scholarship Award; he holds a master degree in Environmental Engineering and Management from the Indian Institute of Technology Delhi (India). He is leading a vibrant research group, focusing on urban air pollution, their measurement using advanced instruments and low-cost sensors, exposure assessment and emission/dispersion modelling. Professor Kumar is currently a Surrey PI on a number of international consortium projects such as the EM4fME (Emission models for fugitive particulate matter towards an online emission inventory for the Middle East Area; funded by QNRF), NEST-SEAS (Next-Generation Environmental Sensing for Local To Global Scale Health Impact Assessment; funded by UGPN) and a co-investigator in ASTRID (Accessibility, Social justice and Transport emission Impacts of transit-oriented Development; funded by ESRC). He has authored over 135 papers in peer–reviewed journals and a similar number of conference articles, with over 3100 citations and an h-index of 30 (as on 02.11.2017). He is currently serving as a panel member of the ICE’s Air Pollution Task Force for London as well as the United Nations ESCAP expert group on the urban nexus. Professor Kumar is also an editorial board member of eight international journals, including ‘Science of the Total Environment’. Within the iSCAPE project, he is a Surrey PI and the leader of WP1. Professor Kumar is also an editorial board member of eight international journals, including ‘Science of the Total Environment’. Within the iSCAPE project, he is a Surrey PI and the leader of WP1. His iSCAPE team includes KV Abhijith (PhD Researcher), Arvind Tiwari (PhD Researcher), Aakash Rai (Research Fellow; 2016-2017) and TBC (Research Fellow; 2017-2019). The team is contributing towards the deployment of low-cost sensor sensors and developing green infrastructure interventions for exposure reduction in urban built environments, besides hosting one of the seven Living Labs. Abhijit K.V. is PhD Researcher, University of Surrey. Abhijit completed his B.Tech. in Civil Engineering from Government College of Engineering Kannur (India) and M.Tech. in Civil Engineering with specialisation in Environmental Engineering from Indian Institute of Technology Guwahati (India). As a part of Surrey’s iSCAPE team, he is working as PhD researcher with a focus on assessing the influence of roadside vegetation barriers on air pollution exposure. Aakash C. Rai is Research Fellow (2016-2017) at the University of Surrey, UK. Aakash completed a B.Tech. in Mechanical Engineering from Indian Institute of Technology Kharagpur (India) and Ph.D. in Mechanical Engineering from Purdue University (USA). He has also worked in industry for about four years. As a part of Surrey’s iSCAPE team, he is working as a post-doctoral researcher with a focus on low-cost sensors, living labs and green infrastructure interventions. Arvind Tiwari is a PhD Researcher at the University of Surrey, UK, working under the guidance of Professor Prashant Kumar. Arvind has a Bachelor Degree in Civil Engineering from Madhav Institute of Technology & Science, Gwalior (India) and Master Degree in Environmental Engineering & Management from Indian Institute of Technology Delhi (India). He has six years of industrial research experience in Civil and Environmental field. As apart of Surrey’s iSCAPE Team, Arvind is contributing to green infrastructure modelling and it’s effect on city scale air pollution dispersion under various physical interventions and policies. Achim Drebs, a senior scientist at the Climate Service Centre, holds a degree in geography. He has a long history of research and expertise on many fields of meteorology and climatology. His current main topic is urban climatology. He has set up small scale and high detail measuring campaigns for investigating for example the urban heat island effects of Helsinki. In iSCAPE, Drebs is the in-situ and observation expert. Carl Fortelius, PhD in meteorology, is a senior researcher in the Meteorological Research Unit of FMI, with some 20 years of experience in numerical weather prediction and atmospheric modeling, including eight years as group leader for the numerical weather prediction group at FMI. He has published about 20 peer-reviewed journal articles. He is a participant in several modeling studies on urban meteorology, and has gathered experience from European (FP4-FP7: NEWBALTIC, NEWBALTIC II, PBL-PMES) and national projects and COST actions. In iSCAPE, simulates the local meteorological conditions, at selected target locations, for selected reference periods representing the present climate and projected future climates under RCP greenhouse scenarios of interest, by using the SURFEX model. Kirsti Jylhä, PhD in meteorology, is a senior scientist at the Climate Service Centre of FMI, with 15-year experience in constructing impacts-oriented climate change scenarios and a 10-year experience as a project and group leader. Her previous studies dealt with transport and deposition of air pollutants. She has over 40 peer-reviewed journal articles and 110 other publications. She has participated in several European FP5-FP7 and MAST/INCO projects and COST actions. In iSCAPE, contributing mainly to WP6; projected climate change across the relevant spatial and temporal scales; procedures to select meteorological reference year data sets. Antti Mäkelä (m) is the Head of the Weather and Climate Research Group at FMI. In the project, he takes care of the technical and administrative work related to FMI’s work. Väinö Nurmi holds a degree in economics and is currently a PhD student in environmental economics. He works at the Climate Service Centre as an expert on the research of economic impacts of weather, climate, and adaptation to climate change. Recently, he has focused on the valuation of meteorological information and methodological research, and on economics of urban ecosystem services, including cost-benefit analysis of green roofs in urban areas. In iSCAPE, his work relates to the economics of urban ecosystem services and research on the valuation methods of benefits. Muhammad Adnan is working as a Researcher in the Travel Behaviour & Mobility Management research group of IMOB. His past experience includes working as a post-doctoral researcher at Singapore-MIT Alliance for Research and Technology, Singapore. His research interests fall in the domain of activity-based models, applications of discrete choice analysis, network modelling and agent-based models of travel behaviour. Dr. Adnan is author of several research papers published in reputed Journals and peer-reviewed conferences. In the context of iSCAPE, Muhammad is working on the development and implementation of a simulation framework that helps to assess policies aimed at changing travel behaviour of individuals for environment and health benefits. Davy Janssens is the program Leader of the Travel Behaviour & Mobility Management research group of IMOB. His research area of interest is situated within the application domain of advanced quantitative modelling (e.g. data mining), in activity-based transportation modelling and in the analysis of big data. Within IMOB he is the coordinator of a variety of national and international research projects, including several EU projects such as FP7 DATA SIM. Furthermore, Prof. Janssens is a technical reviewer and an advisory board member for a number of national and international projects. In the context of iSCAPE, Davy is working on the development and implementation of a simulation framework that helps to assess policies aimed at changing travel behaviour of individuals for environment and health benefits. Ansar ul Haq Yasar is the program leader for Business Development at IMOB. He is currently involved in several European projects (e.g. DATASIM, Smart-PT). Furthermore, he has been involved in organization of many international peer-reviewed conferences, summer schools and other scientific events. Prof. Yasar is also a Technical Expert to evaluate project proposals submitted to the EUREKA framework. In the context of iSCAPE, Ansar is working on the development and implementation of a simulation framework that helps to assess policies aimed at changing travel behaviour of individuals for environment and health benefits. Stefan Greiving is Executive Director of the Institute of Spatial Planning at TU Dortmund University. He holds a diploma in spatial planning and a PhD in Urban Planning. His post-doctoral study (habilitation) was on spatial planning and risk. Prof. Greiving is author of about 190 publications and has been responsible for about 20 international projects (three times in the role of a coordinator) in disaster risk assessment and management as well as climate change vulnerability and adaptation. His main fields of expertise are spatial planning and disaster risk, risk governance, climate change adaptation and demographic change. Prof. Greiving is full member of the German Academy for Spatial Planning and Research (ARL) and member of the Architect’s chamber. In the context of iSCAPE, Stefan is working on spatial planning and urban design interventions on air quality and climate change. Nadine Mägdefrau is working as a Research Coordinator and Researcher at the Institute of Spatial Planning at TU Dortmund University. She holds a diploma in spatial planning from TU Dortmund University and recently completed her dissertation on the topic “Building urban resilience through spatial planning following disasters: The Great East Japan Earthquake and Tsunami”. Her main fields of interest are the ability of spatial planning to build urban resilience, contribute to climate adaptation and reduce risks. In the context of iSCAPE, Nadine will coordinate the work of the team at TU Dortmund University and contribute the perspective of spatial planning to the iSCAPE interventions. Andreas N. Skouloudis Andreas N. Skouloudis obtained his PhD at Imperial College and is a principal scientific officer of the European Commission Joint Research Centre. He is a visiting professor at the postgraduate course of environmental sustainability of the Venice International University (Italy). His responsibilities are at the dossiers of industrial hazards, atmospheric pollution, health & human exposure, energy and advanced sensor technology for the human protection from rare and severe diseases. Have developed the methodology for the daughter directives related with atmospheric pollution. Advanced the utilization of satellite data for the assessment of climatic effects on urban pollution. Served at senior managerial positions for several projects at the European Commission and as head of the computer centre of the Hellenic Ministry of National Economy. Was the chairman of the technical subgroup for modelling at the first and second AutoOil programmes, which lead to the introduction of environmentally friendly fuels in Europe. Directed nine competitive projects and participated in seven projects involving European Automobile and Chemical Industries. As scientific officer for the Commission of European Communities carried out 54 publications on Environmental Issues, 48 on multiphase flow dynamics and signed 30 general article and reports. In the context of iSCAPE, Dr Skouloudis is working on the establishment and realization of the project exploitation as well as for the identification of regulatory applications that benefit from the deliverables and for the proliferation of photo catalysis as an effective mean of abatement of atmospheric pollution. Katja Firus, economist, is a partner and the manager of the environment and climate change department, specialised in research on climate change adaptation, transition to sustainability, natural risk, risk governance and the territorial impact of climate change. In this framework she has been co-ordinating / managed several European research projects (RAMSES, ENSURE, INCA, IMRA, MIDIR, SCENARIO, ARMONIA). She is an experienced and specifically trained project manager for European and international projects and the co-ordination and moderation of international project teams. She has specific knowledge in monitoring and evaluating environmental projects, inside and outside Europe. From 1994 – 2000 she was the projects manager at the International Network for Environmental Management (INEM), implementing projects to improve the environmental performance of small and medium-sized companies. In the context of iSCAPE Katja is the team leader for partner T6 Ecosystems srl. She is coordinating the work package “Communication, dissemination and stakeholder involvement” and collaborates closely with all partners and work packages. In this, she is in charge of the development of the Dissemination, communication and engagement strategy and the project branding (in collaboration with an external art director) and is coordinating all dissemination activities. Antonella Passani, PhD, is a sociologist with a minor in cultural anthropology. She is currently partner at T6 Ecosystems, leading the Society, innovation and social capital department and research officer at the London School of Economics (LSE). Expert in both qualitative and quantitative methodologies she contributes to or lead all stages of the research process (from research design definition to the elaboration of policy recommendations and the dissemination of results). Among her research interests: social innovation, ICT for social change and empowerment, visual representation of diversity and anti-discrimination strategies and impact assessment of research and innovative process. She is an expert group-work facilitation and tries to use as much as possible action-research and interdisciplinary approaches. In the context of iSCAPE Antonella is leading the task on the “Definition of the socio-economic impact assessment methodology“, dealing with the socio-economic assessment of the iSCAPE outputs. In addition she supports the research on behavioural changes of citizens in the context of sustainable cities. Giorgio Bagordo Giorgio holds a BEng in Environmental Engineering and Resource Management and an MSc in environmental management. A Practitioner of the Institute of Environmental Management and Assessment (PIEMA) he has extensive experience in the environmental sector, leading the development and delivery of sustainability andcarbon reduction programmes within the public and private sector. Within iSCAPE Giorgio deals mostly with “Communication and Dissemination” of the project, the management of the project website, as well as the social media accounts. Luca Simeone‘s trajectory crosses design practice and design research. He has conducted research and teaching activities in various international centers (Harvard, MIT, Polytechnic University of Milan and KTH Royal Institute of Technology), (co)authoring and (co)editing some 70 publications. His latest book (Visualizing the Data City, Springer, 2014) explores the potential of data visualizations for more inclusive urban design, planning, management processes. Luca also works as a consultant for public and private organizations (the European Commission and the German Federal Ministry of Education and Research) in order to help define strategies, policies and funding schemes to support strategic design approaches targeted to innovation. In the context of iSCAPE, Luca is working on the design and development of the online communication strategy and software platforms. Joan Marull is a Chemical Engineer and MBA from ESADE University.Mr Marull was the CEO for Southamerica of Azko Nobel and has strong experience in the coatings industry. Mr Marull has sit on the board of Directors of firms such us Prestige Hotels and Azko Nobel and Synthesia.Furthermore he is an expert of implementation of new process in several multinationals. J oaquin Piserra is an economist from UMASS (Boston) and PhD from Deusto University+ESADE. Previously to manage Nanoair, he was the CEO of BNPParibas Real Estate in Spain which is the consulting arm for commercial real estate of the French bank BNPParibas. Mr Piserra has 3 masters degrees from University of Barcelona, European University and Harvard University. Mr. Piserra teaches Business Ethics, Sustainability an d Commercial Real Estate in European University and Universitat Oberta de Catalunya. Katinka is a Service Designer for Future Cities Catapult in London. Her main focus in the past year has been the Horizon 2020 OrganiCity project. For this project, she developed and delivered the Experimentation as a Service framework in collaboration with 15 other partners. Her expertise centres around human centred design with an emphasis on citizen engagement and experimentation, she is eager to apply a hands-on approach to innovation projects and explore new solutions to complex city challenges. Katinka is a committee member of the UK Service Design Network, the aim is to educate the industry and increase awareness of Service Design through workshops, events and conferences. In June 2018 Katinka joined the iSCAPE project where she is responsible for overseeing the management of six Living Labs and training project partners in citizen engagement methods as well as other Living Lab activities. Dr. Saravjit Rihal is a Senior User Researcher in the Insight and Service Design team at Future Cities Catapult. His work there has included working with local governments, medical professional and elderly citizens in Brazil, working with local governments and regional authorities with respect to Rates maximisation in the Belfast, teaching consortia partners how to conduct user research with respect to Transport and Energy related measures across Western Europe, and helping experts and clients move from ideas to high-level project specifications in Malaysia. He has over 20 years of User Research (qualitative and quantitative) experience. He has led a User Experience agency in London for a number of years. Among others, he has consulted and managed accounts for Vodafone, the BBC, Samsung, Hotels.com and Microsoft. He routinely scoped and advised on projects and research programmes for them. His passion is cross-cultural user research and feels privileged that he has been able to setup, conduct and manage qualitative research globally including Brazil, China, India, South Africa, Turkey and Colombia (to name but a few). 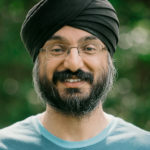 He holds a Ph.D. in Human Factors Engineering from Texas A&M University, a Master’s degree in Human Computer Interaction/Ergonomics from the University of London and a BSc. (Eng.) in Computer Science from Imperial College. Dr. Saravjit Rihal is leading iSCAPE work package 2, which is about setting up and managing the six iSCAPE Living Labs. He also overviews the activities that FCC will support within the iSCAPE project. Agnese Riccetti has an MSc in Architectural Engineering Design from the ‘University of Tor Vergata’, Rome, Italy. Since 2006 she has been working in the field of sustainability, joining several projects related to research, communication, training and sustainable design. She also has experience in urban planning, both in new and historical urban contexts. After moving to the UK in 2014, she worked for the Building Research Establishment (BRE), in particular with the BREEAM (BRE Environmental Assessment Methodology) International schemes, which apply to the building sector. She has been working on European projects for the past nine years, supporting the submission and implementation of projects under the FP7 structure and Horizon 2020. In the context of iSCAPE, Agnese is the project manager at the Future Cities Catapult. Martin Fitzpatrick is a Principal Environmental Health Officer and currently heads up the Air Quality Monitoring & Noise Control Unit in Dublin City Council. He has over 28 years experience in air quality and noise monitoring. He has been involved and led many of Dublin City Council’s research projects with respect to air quality. He has had a number of roles previous to this including Environmental Health Adviser, Public Health Division Department of Health and Project Co-ordinator, World Health Organisation, Regional Office for Europe, Copenhagen (seconded by Irish Government). Brian McManus is Head of the Traffic Noise & Air Quality Unit in Dublin City Council. He has over thirty years experience in air quality and noise monitoring. He has been involved in international projects such as the ‘Auto Oil I’ project in relation to city air dispersion modelling, ‘The Resolution Project’ which tested innovative diffusion tube air quality monitoring, and also local projects such as a baseline study on the concentrations of Volatile Organic compounds and PM10 in Dublin City. His current role is advisor to the Director of Traffic in Dublin City Council in relation to the impact of traffic management strategies on Dublin’s air an acoustical quality. Zsuzsanna Bodi, Acting Lead of European Network of Living Labs (ENoLL) is an Open Innovation and Innovation Design enthusiast, seeking for ways to make Open Innovation models and co-creation methodologies sustainable, business ready and continuous growth stimulating. In iSCAPE project Zsuzsanna Bodi is in charge of the overall activities of European Network of Living Labs, especially with regard to knowledge sharing and coordination. Katariina Malmberg (M.Sc. Econ., M.Mus.) has completed her Master’s degree in Economics and Business administration at the department of Management in Helsinki School of Economics. She has been working at European Network of Living Labs (ENoLL) since September 2016 as project manager. Her main responsibilities are the communication and project management tasks as well as supporting the living lab activities in three European projects, namely SynchroniCity IoT Large-scale Pilot, U4IoT coordination and support action focusing on user-engagement as well as iScape project on air quality. Before joining ENoLL, Katariina has worked at the Center of Knowledge and Innovation Research (CKIR) in Aalto University since 2008, latest as a project manager with responsibilities in national and EC-funded projects in communications, project administration and research, especially in the area of user-driven innovation. In iSCAPE project, Katariina provides support in project’s living lab activities as well as has the responsibility of the overall project management tasks of ENoLL. Ines Vaittinen is an International Project Manager and Developer at ENoLL. She has completed her Master’s degree studies in International Design Business Management at Aalto University and also has a background in Architecture (BSc from Politecnico di Milano). Her international background includes studying and working across 6 different countries. Professionally she has experience from Corporate Innovation (eg. Design Thinking, Strategic Innovation) and project work on user-centered design solutions for corporate clients in the field of service design, experience design and behavior design. With a focus on user-centered design, Ines is currently specializing in co-creation techniques, tools and methodologies and aims for creative solutions in user engagement. Her main responsibilities at ENoLL include project management of EU-MACS and iScape projects as well as support on U4IOT project, while lending her design-focused expertise across the board of projects at ENoLL. Spela Zalokar is a Communications Officer and International Project Developer at the European Network of Living Labs (ENoLL) since July 2016. 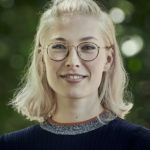 Her interest in European affairs and communications has led her to pursue a degree in European Studies as well as Politics and Society from Maastricht University. Spela has a long standing interest European affairs, communications and communications technology and has previously worked in European Institutions (namely the European Parliament and the European Commission) as well as for non-profit organisations. She is an internationally oriented person, who has lived and worked in four different countries. Currently she is planning, implementing and monitoring dissemination of information of ENoLL through various online channels. In iSCAPE project, Spela assumes the responsibility of the communication tasks of ENoLL. Brian Broderick is a Professor and Head of the Department of Civil, Structural and Environmental Engineering in Trinity College Dublin. His research addresses interactions between the built and natural environments, and specifically the role of engineered systems in societal protection, including the impact of traffic emissions on urban air quality and exposure. He has over 20 years’ experience as a PI on engineering and environmental research projects in Ireland, the UK, France and Japan, completing over 20 major research projects, supervising 18 PhD students and publishing 70 papers in scientific journals. His research impacts in the field of air quality include the development and validation of dispersion models, innovative portable field sampling and analysis methods for air pollutants, techniques for individual exposure assessment and developing a national air quality forecast system. In the context of iSCAPE, Brian will advise on the deployment of low boundary walls as a passive control system in Dublin’s living lab, support monitoring and modelling research activities, and will act as a supervisor for one PhD student. John Gallagher is Assistant Professor in Environmental Systems Modelling in the School of Engineering at Trinity College Dublin (TCD). He completed his PhD on passive methods of pollution control in the built environment in TCD in 2012 and has since worked between TCD and Bangor University in the UK. His background in civil and environmental engineering and is an leading researcher in passive control strategies (PCS) and personal exposure to urban air pollution, with other research interests in building ventilation and indoor air quality, life cycle assessment (carbon footprinting and eco-design) and energy efficiency. As an early career researcher, he has a strong publication record with 15 peer-reviewed papers, more than half of which are in modelling and measurement studies of the urban environment, air quality and passive air pollution controls. Aonghus McNabola, PhD, is an Associate Professor in Energy and the Environment at the School of Engineering, Trinity College Dublin. His expertise lies in the field of environmental fluid dynamics with particular interested in air pollution, energy efficiency, and water supply systems. He has been awarded research contracts nationally and internationally, including EPA, Enterprise Ireland, PRTLI, FP7 and ERDF funding, amounting to over €2.5 million in funding since 2007. He received an Industrial Technologies, Commercialisation award in 2011 from Enterprise Ireland for the applied air pollution technology research. He was PI of the Hydro-BPT project from 2011 to 2015, a project that received a commendation from the DG Regio, and now is PI for a €3.4 million Dŵr Uisce project. He has published over 75 peer reviewed publications, of which over 10 papers specifically on the topic of passive control systems (PCS) in urban environments and is a recognised expert on the topic internationally. In the context of iSCAPE, Aonghus will advise on the deployment of low boundary walls as a PCS in Dublin’s living lab, support monitoring and modelling research activities, and will act as a supervisor for one PhD student.